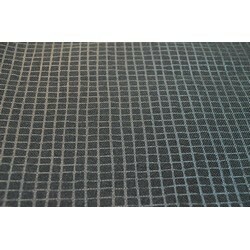 Manufacturer of Industrial Fabric, Nylon Fabric, PVC Coated Fabric, Polyester Fabrics. Reflective fabrics by glass coating. Reflective fabric/tape is also used on Hi-Vis fabrics used in safety apparel. Our reflective fabrics and tapes pass EN471 requirements and ANSI standards. TDF's reflective fabrics contain thousands of tiny glass beads that reflect light. These beads are durable and washable at a CP rate of 300~500. Reflective fabrics are like mirrors as they reflect light away. The resulting reflections promote visibility in darkness, especially on the road construction or mining industries. TDF produces reflective coated fabrics in 45” width. We also offer slitting and dye cutting service.